Bookmarks, Business Cards, and Buttons! I figured since I’d be mailing out books from my Bloomin’ Uterus library (click here to see what’s available! ), I would need bookmarks to send out, too! I’m also hoping that my gyno will allow me to leave a small stack with the nurse of the office, that way when women with Endometriosis come into the office, they can maybe slip them a card. I know I was left flabbergasted and bewildered when I left after my diagnosis appointment. Maybe it would bring a little bit of peace to any new EndoSisters. That’s not even the best part!! I used Goodshop to log into Vista Print, and they’ll donate 4% of my purchase price to the Endometriosis Foundation of America! *woot* It’s like a double win!! So now I’m even MORE excited! 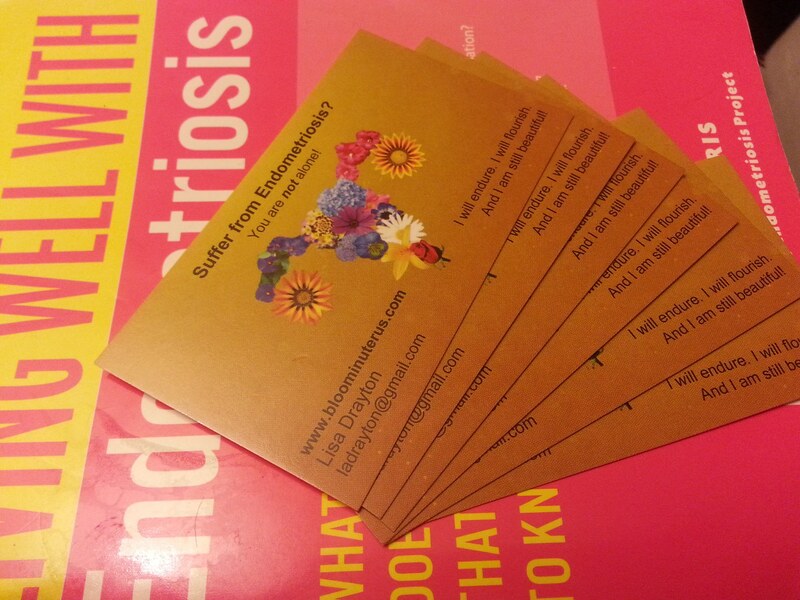 I also plan to pass these cards out to anyone who asks why we’re walking around Lake Miramar on March 28, 2015, all dressed up in yellow, wearing Bloomin’ Uterus buttons 🙂 Live in the San Diego area and want to join us? Click here. Want your own Bloomin’ Uterus button? 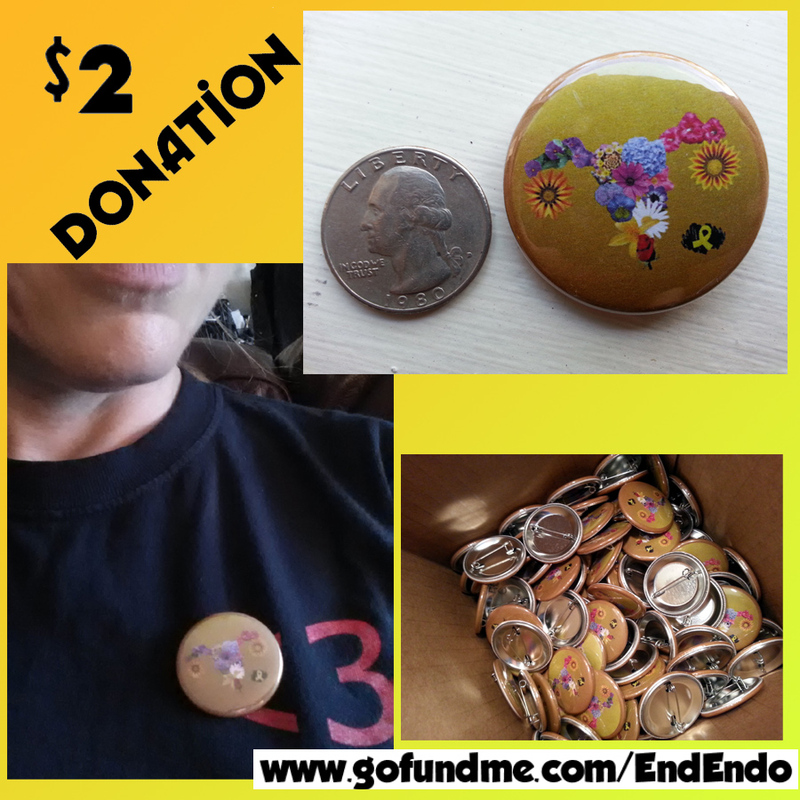 ALL proceeds go to the Endometriosis Foundation of America. A $2 donation can be made here.